Get competitive quotes on outdoor advertising in Scenic City! Chattanooga is a great city for outdoor advertising because it is 120 miles northwest of Atlanta, 120 miles southwest of Knoxville and 120 miles northeast of Huntsville. The city is known for its outdoor activities, which ultimately gives the city its nickname. Home to the University of Tennessee at Chattanooga (UTC) and Chattanooga State Community College, the city attracts many visitors as well. Furthermore, Chattanooga is the birthplace of the tow truck and home to the International Towing and Recovery Hall of Fame and Museum. 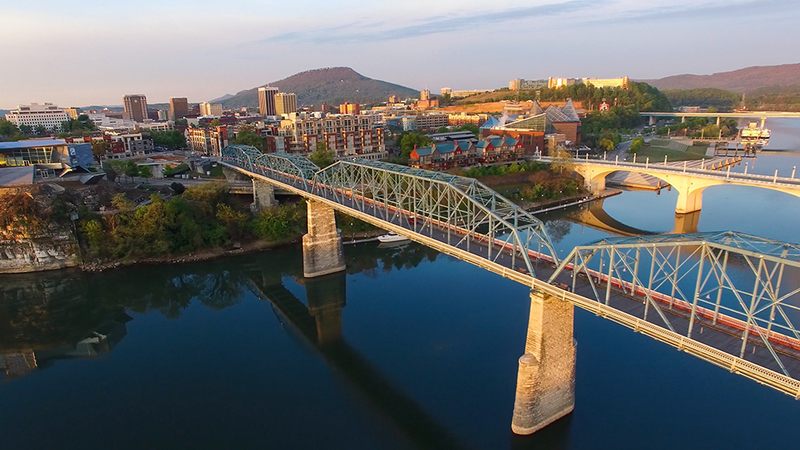 People are always passing through or spending time in Chattanooga and you have countless opportunities to grab their attention whether you choose to do so through cinema advertising, transit advertising or street furniture advertising. Select any of the amazing advertising formats below to get started. Or, begin your search on BillboardsIn’s massive database to start receiving competitive quotes. Advertising professionals will tell you how important outdoor advertising is for your business and it has never been made easier to get started than with the help of BillboardsIn.